Wiener is the William R. and Thomas L. Perkins Professor of Law at Duke Law School, Professor of Environmental Policy at the Nicholas School of the Environment, and Professor of Public Policy at the Sanford School of Public Policy. He has been involved in numerous research collaborations involving faculty and students from across the university, including Rethinking Regulation at the Kenan Institute for Ethics, the new Center on Risk at the Science & Society Initiative, a Collaboratory on Geoengineering, and six Bass Connections projects. Recently he reflected on some of the impacts of his involvement in collaborative inquiry at Duke. The following are excerpts from our conversation. These collaborative projects have been crucial to my engagement with colleagues and also with students across the university. [Bass Connections has] enabled me to work with teams to investigate complex topics like protecting the Earth’s stratospheric ozone layer and climate, how to assess and manage emerging technologies such as automated vehicles, and how to protect drinking water. [They] also enabled us to bring in speakers from outside Duke to enrich our conversations – for example, environmental diplomat Ambassador Jennifer Haverkamp, and former U.S. Secretary of Transportation Anthony Foxx. Bass Connections projects are also useful for connecting with students from different schools with different skills. For me, it was a good opportunity to connect with undergraduate students in particular, because most of my teaching is in the Law School, Sanford School, and Nicholas School. Duke’s undergraduates are so impressive, smart, and energetic. Bass Connections invites them to see how research projects are developed and to participate in a research team. I’m currently working with several people on the governance of geoengineering, including Mark Borsuk, Christine Hendren, and Tyler Felgenhauer in the Pratt School of Engineering, Billy Pizer in the Sanford School, Drew Shindell in the Nicholas School, and Khara Grieger at RTI. Geoengineering is a strategy to prevent climate change, but it poses its own risks, so there is a key need for governance to avoid unwise or harmful deployment of geoengineering. We have written one paper that we’ve submitted to a journal, and we are going to apply for external funding for further research. For the Society for Risk Analysis annual conference, we organized and held a set of sessions on the governance of geoengineering [see part 1 and part 2] that featured speakers from Duke and other universities. 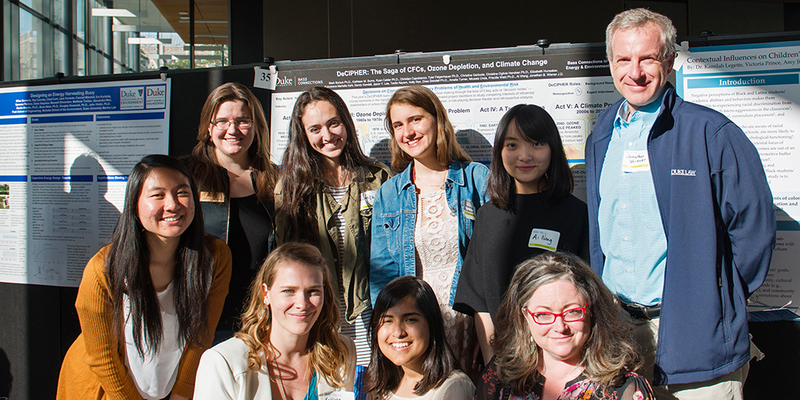 We are also planning a Bass Connections project team on geoengineering for 2019-20. We’re starting a new Duke Center on Risk, to be launched in the Science & Society Initiative, which grows out of a Provost’s Office planning grant. In 2018, we held a series of Risk Watering Holes, where more than 25 faculty gave short talks as a way for people to learn about different topics and methodologies. We also asked each speaker to touch on what types of colleagues he or she would like to collaborate with to better address risk. 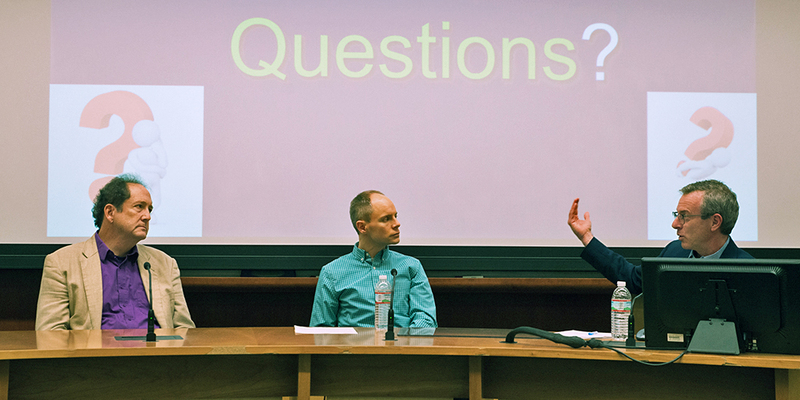 In Fall 2018, we started to hold more in-depth ‘head to head’ talks: so far we’ve held one on risks to Duke’s campus, and one on AI risks and responses. We have also sponsored external speakers and supported some students to go to the Society for Risk Analysis conference. Also, we have begun conversations with a group of undergraduates who want to create a student organization about emerging risks. Bass Connections projects can be very fruitful as funding for a team of researchers. I think it’s most fruitful when students help to design the research and produce a team project report. 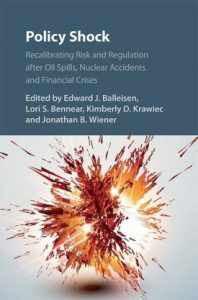 Together with Ed Balleisen from the History Department, Lori Bennear from the Nicholas School and Energy Initiative, and Kim Krawiec from the Law School, we recently published a book, Policy Shock, that included a chapter coauthored by student contributors from the Regulatory Disaster Scene Investigation project of Bass Connections. An external grant enabled us to have a series of authors’ workshops with multiple chapter authors. We were able to bring in other colleagues at and outside Duke to broaden our set of case studies – on oil spills, nuclear power accidents, and financial crashes – so we could generate more comparative insights and lessons. A graduate student in the Law School, Daniel Ribeiro, and I published a paper called “Environmental Regulation Going Retro” as an outgrowth of another Bass Connections project, Reviewing Retrospective Regulatory Review. This paper drew on Daniel’s dissertation research and my earlier work on the same topic. One of last year’s Bass Connections projects was about adaptive regulation applied to the emerging technology of automated vehicles. Associated with that project, Lori Bennear of the Nicholas School and I are undertaking our own research and writing on the different options for adaptive regulation. We received a grant from the Provost’s Office, and we are writing a paper about how regulations can be designed to be adaptive as we learn more about changing technology, science, and society. 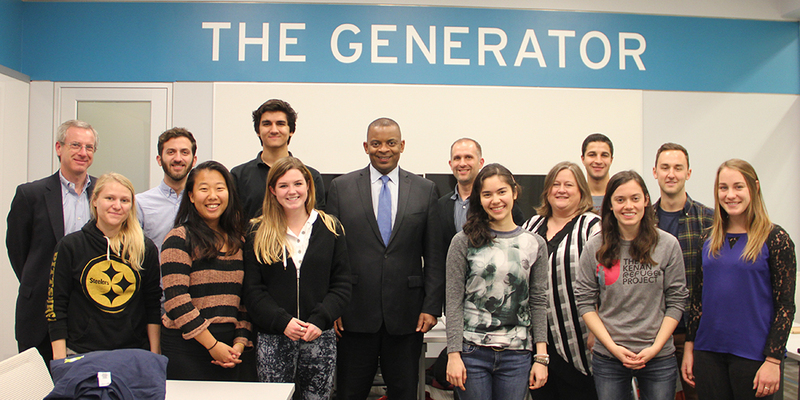 Photo by Braden Welborn: Jonathan Wiener (far left), Lori Bennear (fifth from right), and students on the Bass Connections team on adaptive regulation of emerging technologies host former U.S. Secretary of Transportation Anthony Foxx (center). I think one challenge has been in orienting everyone, students and faculty, to seeing the Bass Connections projects as collaborative team projects, rather than as conventional courses where faculty teach the students. There is a tendency by everyone to revert to the familiar default model of a professor conveying information to the students, whereas I think Bass Connections projects work best where everyone is a member of the team investigating something interesting, and at the beginning we don’t yet know exactly how we want to proceed. Another aspect of Bass Connections is that these are team projects with multiple professors, and we faculty have to be able to share the time with each other and to collaborate on designing what the project will cover and what materials we’ll ask people to read. It’s very helpful to have a point person to coordinate that. This person can be a faculty member, a graduate student project manager, or both. We are now launching a new Duke Center on Risk, based in the Science and Society Initiative. This is something I’ve wanted to do for many years, since I was president of the Society for Risk Analysis in 2008. Now is a great time to do this at Duke because it builds on the work that Mark Borsuk, Lori Bennear, I and others have been doing on rethinking regulation, on risk and resilience, and on specific applications and concepts like geoengineering, AI, extreme catastrophic risks, and risk-risk tradeoffs. We are grateful to the Provost for the planning grant and to Nita Farahany and the Science & Society Initiative for giving our center a supportive home. In addition, we have started planning an event to be held at Duke in November 2020 on the EPA at 50. We have convened a collaborative group to brainstorm how we should organize this, including from the Nicholas Institute for Environmental Policy Solutions, the Energy Initiative, Rethinking Regulation, our Center on Risk, and faculty from a number of different schools. We may try to do a Bass Connections and/or a Story+ project to engage students in helping to assess the history of the EPA. This EPA at 50 event will celebrate the 50th anniversary of the creation of the U.S. EPA in 1970, and it will build on similar events we have held at Duke on EPA at 20, 30, and 40. We’re seeing Duke’s schools, institutes, initiatives, and Bass Connections as all fitting into this collective effort.